HTP Products specialises in cable connectors for sensors including a complete range of cables for all current bus systems - Profibus, DeviceNet, SDS, etc. HTP offers IP-68 ratings EMC compliant and Oil Resistant cables from Australian stocks with technical support. HTP Products specialises in DIN 43650 valve connectors, including an ATEX Certified model Ex e.
HTP Products produces the M12 range of connectors that can be connected in the field for M12 sensors as opposed to the moulded plug type. This range allows longer cables than the traditional 5 meters. 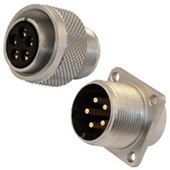 To complement the M8 and M12 connector range HTP Products produces a range for mounting into Control Panels and Enclosures. 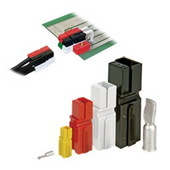 HTP Products includes a range of MIL Spec connectors for those heavy duty applications. Anderson Powerpole Connectors are the standard to meet when considering connecting for street lighting poles PP15/45 up to 55Amps and PP75 up to 120Amps.